E - Extended inner race one side. Typical Applications: Frame Pivot Bearings. MAX bearings are filled completely with high precision Grade 10 balls for maximum load capacity. 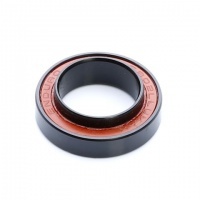 No retainer means these bearings have 40 percent more capacity. The balls must be filled by hand, through a precision slot ground into the inner and outer race. Purest alloy steel with the toughness like no other. MAX bearings use CRC Marine Grease, will not wash out or break down under any extreme circumstances. Even salt water will not penetrate or break it down. Two sealing lips on each seal, which ride in a matching groove on the inner race to make a labyrinth seal. The outer sealing lip repels dirt/water while the inner retains grease. 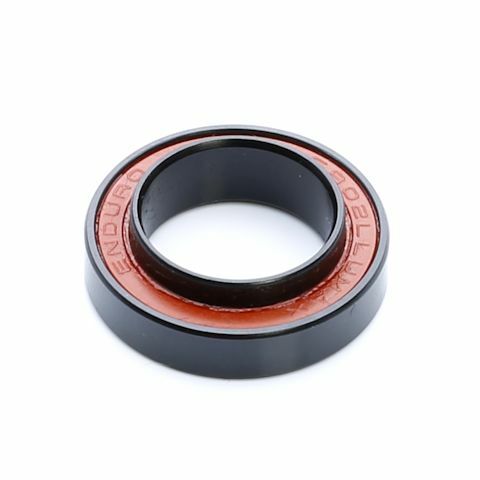 These seals essentially form a “hydromatic seal” of grease when in operation, the grease forming a barrier in the groove.